This Error Message Article explains the TEKLYNX CENTRAL error message “No printer is configured for SENTINEL printing. 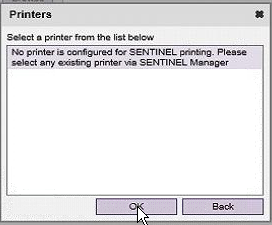 Please select any existing printer via SENTINEL Manager” and details how to fix the underlying problem that caused it to appear. When adding a printer to the TC browser interface, there are no printers setup AND licensed. 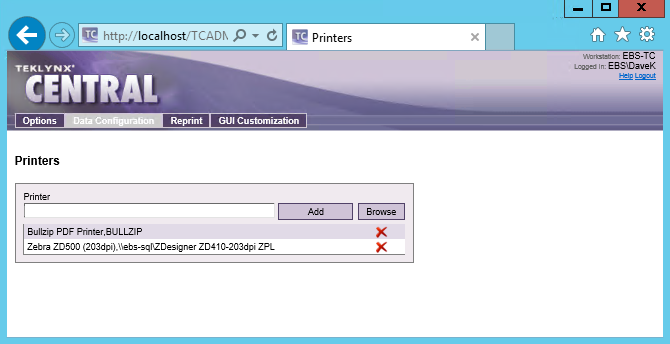 Setup printers in SENTINEL and make sure they are identified in TCADMIN browser.